You have several choices when buying Replacement Windows. When it comes to the most popular replacement window style it is the double-hung replacement window. Let’s start with reviewing the top replacement window styles. 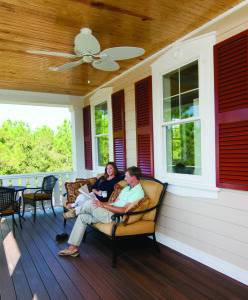 There is wide range of styles, colors, and other options, they fit well in any home providing great curb appeal. There are many different window and door styles and operating types. We have assembled a list of the various window and door styles, with information on how the function. to open fully and tilts inward for easy cleaning. Top sash of the window remains fixed, while bottom sash lifts open and tilts in for easy cleaning. by sliding from side to side. This window has a fixed central sash that does not move, while the two sashes on either side open and close by sliding side-to-side. This window is idea for wide openings. According to Remodeling Magazine, bronze is the new color trend for fall. This is not the oil-rubbed bronze we’ve seen gain popularity on plumbing fixtures and hardware. This is a much softer, warmer tone that complements a variety of color, designs, and woodwork.